This memorial website was created in memory of our loved one, Charles Louis Kincannon , 72, born on December 9, 1940 and passed away on December 15, 2012. Where Charles Louis Kincannon is buried? Locate the grave of Charles Louis Kincannon . How Charles Louis Kincannon died? How to find family and friends of Charles Louis Kincannon ? What can I do for Charles Louis Kincannon ? He was an American statistician. 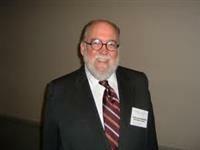 Kincannon served a longtime as an ASA member and as an United States Census Bureau Director. Throughout his professional career he earned numerous awards such as Presidential Rank Award of Meritorious Executive, the Special Award for Excellence of the Interagency Committee on Information Resources Management and the Commerce Department’s highest civil service honor. Passed away from a cancer a few days after his birthday at Washington Hospital Center. Note: Do you have a family photo of Charles Louis Kincannon ? Consider uploading your photo of Charles Louis Kincannon so that your pictures are included in Charles Louis Kincannon 's genealogy, family trees & family history records. Sysoon enables anyone to create a free online tribute for a much loved relative or friend who has passed away. Address and location of Charles Louis Kincannon which have been published. Click on the address to view a map. 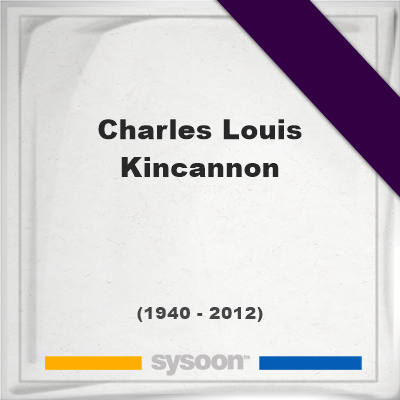 Charles Louis Kincannon was born in Waco, Texas, United States. Charles Louis Kincannon died in Washington D.C, United States.